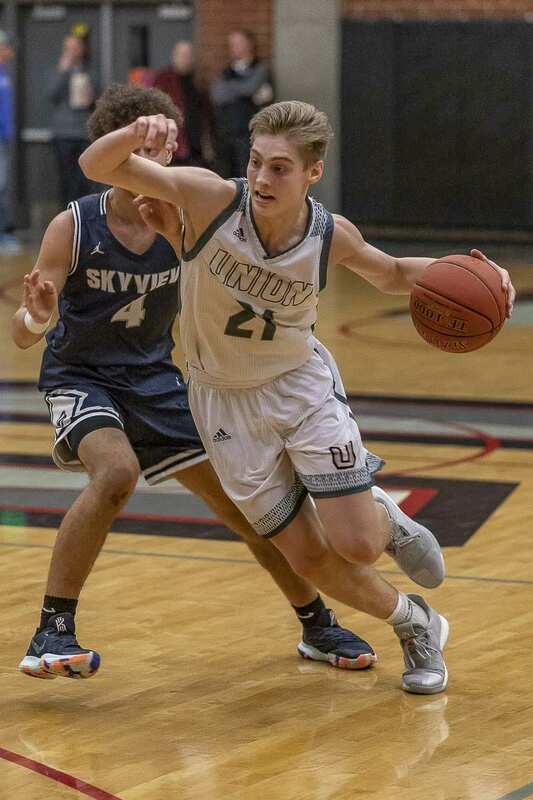 TACOMA — It was a frustrating morning on the basketball court for the Union Titans, but as soon as it was clear that they were not going to win, they turned to each other. Hugs along the bench, teammates sharing one final moment in uniform together. Puyallup never trailed Friday in the Tacoma Dome, ending Union’s season with a 61-48 win in the Class 4A boys basketball consolation semifinals. 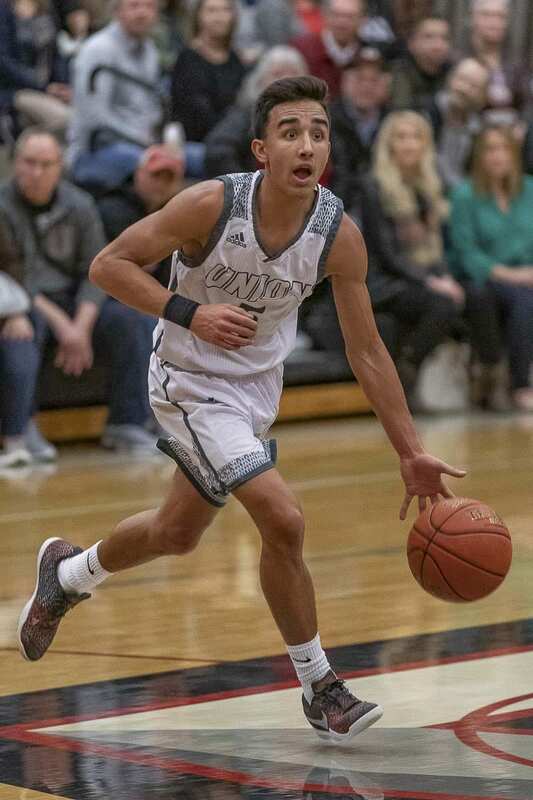 Union finished the season 24-3, which included another 4A Greater St. Helens League title. It also is the fifth consecutive trip to the Tacoma Dome for the WIAA state tournament. And the Titans will always get to look back on the 22-game win streak they had this season. He saluted Smith and Houston Combs for their “unprecedented” leadership. The Titans, perhaps still reeling from the sting of losing in the quarterfinals on Thursday, had a rough start to the 9 a.m. game, scoring eight points in each of the first two quarters. The Vikings increased the lead to 16 in the third quarter, but the Titans had one more push in them. Tanner Toolson, Combs, Ariya Briscoe, and Brad Lackey combined to go on a 15-2 run to end the third quarter, making it a three-point game. Toolson ended up with 18 points and four steals in the season finale. Turnovers, which cursed Union in the quarterfinals, too, hurt in the comeback bid early in the fourth quarter. Still, Union’s defense did enough to hang around the Vikings for a bit. Lackey’s 3-pointer with 2:32 remaining made it a one-point game at 47-46, and Alishawuan Taylor’s basket 35 seconds later brought it back to a one-point game again at 49-48. It was all Puyallup from there as the Vikings would go 10 for 10 from the line down the stretch. No, these Titans will realize what a special run it was, earning the top seed in the RPI system with that win streak, and letting everyone know that the 4A GSHL still belongs to them.